Once upon a time, the Singapore political cyberspace was simple to understand. On the one hand, we had TOC which was helmed by Remy Choo and Andrew Loh and subsequently assisted by very credible people like Ravi Philemon and ex NMP Siew Kum Hong coming out with critical commentaries especially on the rising cost of living, the CPF and numerous other issues which thinking Singaporeans really think about. On the other hand, we had TRE which was anonymous and hence totally sensationalist, feeding and fuelling hearsay and rumours, cursing foreigners in Sg and all in a typical trash news website. But people in Sg still love to read TRE and it far outstripped TOC in terms of readership. Fast forward to 2016 ad the scene has changed dramatically. There are a plethora of sites contesting for eyeballs. And more amazingly, there are even pro-establishment sites, sometimes trying to be neutral, thrown into the mix. Despite this variety of news sites, one constant is that you still have the erudite critical websites in one group and the sensationalist trash sites in another group. The main difference now is that the critical website like The Independent, The Middle Ground and Mothership all have professionals, some even veteran journalists helming these sites. And while TOC was the leader of this pack for a while, a brain drain has happened and these new sites have more or less wrestled away a significant fan base away from TOC. Now, TOC is somewhat at the crossroads. Its performance in GE2015 was a far cry froms its leadership position in 2011. Helmed by amateurs and at times uncertainty over who actually owns the site, its content has seen a fair bit of slippage in standards. In a bid to re-invigorate, some quarters suggest that perhaps TOC is slowly moving to the sphere where trashy websites like All Singapore Stuff, the now defunct TRS, States Times Review and the still chugging TRE hold sway. Its agenda-driven content has lost the nuance and savviness of its earlier days. One can safely say that TOC is far from being non-partisan. For this saga, it would appear that TOC navigated itself from a position of strength with its inside scoop to Benjamin's family, to one of weakness in which it clearly did not verify or check facts which journalists are trained to do. Maybe the government is smiling to itself now that TOC is slowly becoming a sensational news outlet in its bid to capture market share. And for thinking Singaporeans, would they gravitate to sites like The Independent which offers more promise having gathered a team of credible writers (many ex-TOC) and journalists? 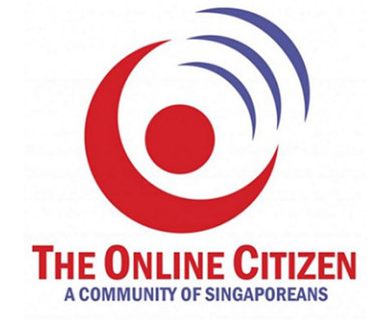 The only constant it would seem is that there is always a ready market of Singaporeans willing to devour alternative news and this can only mean that this area of cyberspace will continue to see a wide mix of different types of news website to satiate this demand. This first appeared as a post on the Facebook page of Karen Chua. Do join in the discussion over there if you have thoughts to share.